Magnetic Dry Erase Boards are great for displaying records that are broken daily or weekly, tracking goals of the week or even developing a game plan for this week's game. Our Magnetic Dry Erase sports signs are a great addition to any locker room or weight room. These dry erase boards will help you illustrate plays and visually convey your message to your players. Magnetic records sold separately. Marker not provided. Grommets are installed in all corners for easy hanging unless otherwise specified. High Durable PVC Plastic with Steel Core Vinyl Graphics Easy Installation School Colors and Logos Customize Your Own Today! 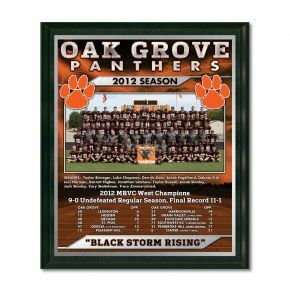 Display durable PVC Dry Erase Boards in your gym or locker room to showcase achievements or draw up your game plan. We have Goal Boards, Depth Charts, Court Boards and Strength Boards to choose from. Various size options are available. Change your empty walls into an amazing display of color with vibrant graphics. Healy has been providing Dry Erase Boards for many years to Businesses, High Schools, Colleges and Universities all over the country. We use quality materials so you get the best product for a great price. All of our dry erase boards will have grommets placed in all corners for easy installation. Have any sport court or field available in a dry erase format so you can draw up plays and the game plan for your upcoming game. Keep it simple with only a few colors or go vibrant with your school colors so that you can still be able to see the markers. List goals for specific sports and have the ability to show the different schools the teams will be competing against. Use low-tack stickers for the goals or use a marker to check off as goals are met. This is a great way to have your teams motivated to crush the competition. By having these printed digitally, we can go all out with amazing images and vibrant graphics to make your walls pop with color. Showcase your top lifters and strength trainers on a Dry Erase Strength Board. For boys and girls, you can have the top records on display for motivation to beat the best. Keep it simple or go full color with a multitude of colors using clean, crisp images. These are great for displaying the lineup for your team. Have something designed for any sport. 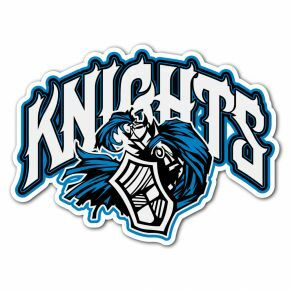 Have your school logo superimposed in the background with crisp digital graphics or have a simpler cleaner design using your school colors. Get the Best with Healy…Fast! Our Dry Erase Boards are produced in our home office in Menomonee Falls, Wisconsin, allowing us to turnaround your dry erase boards quickly. Contact one of our Customer Service Representatives to have free artwork produced and create a dry erase board that will proudly be displayed in your gymnasium or locker room. Custom artwork will be generated for your approval within 1-2 business days after all of the necessary information we need to create your artwork is received. 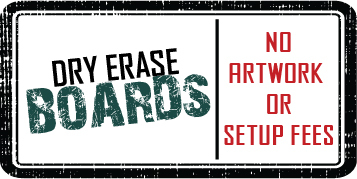 Once the artwork is approved and payment is received, your dry erase board will typically ship in 20 business days. Rush orders are available should you need them sooner. Please contact Customer Service to discuss rush options available.